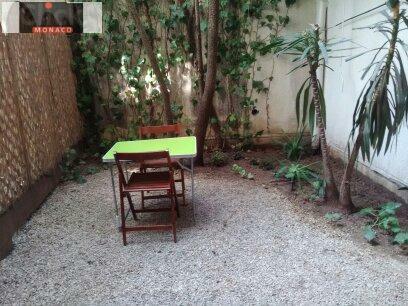 Appartement - 1 pièce - Récent – 41 m² environ, jardin. Im Fürstentum von MONACO sehr schönes renoviertes Studio mit Privatgarten zu vermieten : Stadtviertel Moneghetti, Luxusgebäude BEVERLY PALACE. Das möblierte Studio beträgt 24 m2 mit einem Privatgarden von 17 m2 mit Palmen. Eingang, Hauptzimmer mit vollständig ausgerüsteter Kochnische, grosses Badezimmer aus Marmor, Badewanne, geräumiger Keller, Klimaanlage, Panzertüre, zwei Lifte, Interphon, doppelte Verglasung der Fenster, elektrische Rolladen, unabhängige Heizung und Portier. Das Studio kann auch als Büro verwendet werden. Sehr ruhige Lage (Erdgeschoss). Frei ab 1. November 2018. Mietzins : € 2950 pro Monat Spesen einbegriffen.. Mietvertrag ohne Vermittler. Telephone : 0033 456374837 und 0041 763070450. In MONACO completely restored very beautiful 41 m2 studio: newly fitted electrics, air conditioning, plumbing, windows with double glasses, insulation, one secure metal door . District Moneghetti. Luxury building BEVERLY PALACE. 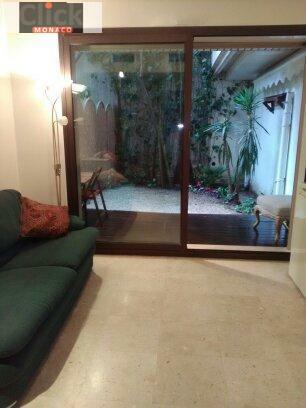 Living room with large bedsofa, large bathroom out of marble with bathtub and shower, fully fitted kitchen in a corner, covered terrace with wooden floor, private garden with palms (17 m2). Basement. 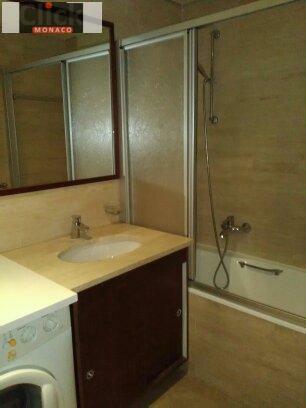 Two elevators, interphone, electric shutters, independant heating and porter. This apartment can also be used as an office. Very quiet apartment (ground floor) no streets close to the garden. No noise. Free as of November the 1st , 2018. Rent 2950 € / month condominium costs included. Direct renting contract without mediators. Telephones: 0033 456374837 ; 0033601402322 and 0041 763070450. .